Seven world-renowned and top-notch dance companies are coming to Cankarjev dom – Cultural and Congress Centre. A perfect artistic experience for any congress guest. Cankarjev dom – Cultural and Congress Centre Ljubljana, the legendary Slovenian institution and a synonym for cultural and humanistic activities combined with meetings industry, pursues the mission of hosting top-notch international cultural and art events. As Slovenia’s largest cultural and congress centre, it presents the focal point of the Slovenian culture as well as of the meetings industry. For the upcoming season 2018/2019, starting in October, Cankarjev dom – Cultural and Congress Centre (CD) prepared a special series called The Magnificent 7 Subscription Series. CD’s Theatre and Dance Programme selectors prepared The Magnificent 7 series with an aim to make it this year even richer through truly memorable experiences. The series which will run from mid-October 2018 until late May 2019 will add a lot of value to any meeting held in Cankarjev dom. L-E-V, an Israeli dance sensation and its Love Chapter 2 features six outstanding dancers confronting loneliness, the need for closeness, for human contact, longing for love, painful feelings of disappointment, etc. in a collage of different musical genres. A legendary Brazilian dance company, Grupo Corpo, with their diptych Dança Sinfônica and Gira provide insight into the past, the inexhaustible indigenous dance traditions of an Amazonian country, and a lot into the present, a gaze that enhances this dance. CIRCA is an Australian theatre company at the forefront of the new wave of contemporary performing arts, blending circus virtuosity and dance perfection. It will perform Humans. 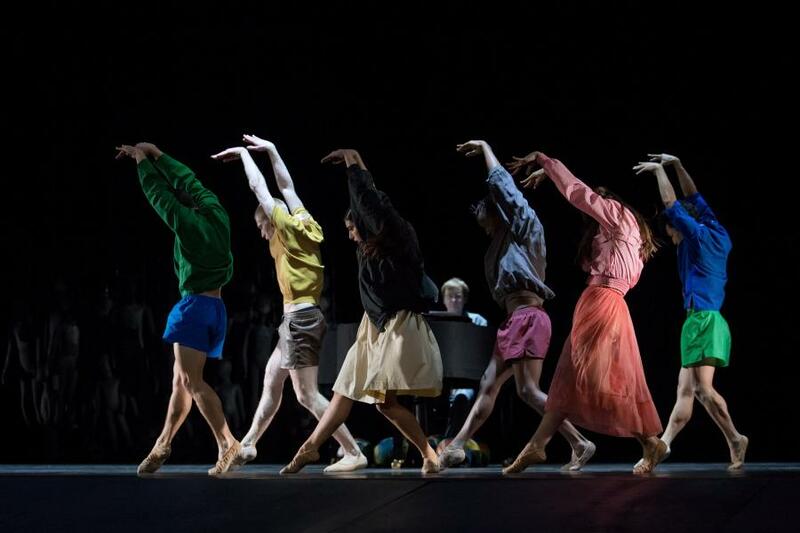 An SNG Maribor Ballet (Slovenia) co-production Death in Venice paints a deeply sensitive portrayal of a man overwhelmed by the invisible forces of love, Eros, and the destructive Thanatos. Emio Greco and Pieter C. Scholten, the creative duo of the Ballet National de Marseille, will bring to CD their dance featuring a children’s choir. Ljubljana will be the exclusive venue for a double-bill of Appearance and Disappearance. A Love Supreme, Rosas‘ dance quartet based on John Coltrane’s eponymous album, blending Coltrane’s full album and an improvised dance composition featuring four brilliant dancers – takes an extemporaneous form. A form that is invariably unique and unequaled. This season’s greatest hit of the Croatian National Theatre in Zagreb is Gypsy, yet so Beautiful (Ciganin, ali najljepši). The production is based on a novel by Kristian Novak and it involvesg virtually the entire ensemble of the Croatian National Theatre in Zagreb. The innovation and vision lead the Cankarjev dom’s team into programmes that enrich the offer not just for visitors hungry for culture and arts, but also for congress visitors who repeatedly get impressed by the selections that often accompany the congress happening. Therefore, the CD remains one of the highest quality and most interesting convention centres in Europe and a highly valuable venue for any guest at a congress, conference, seminar, business meeting or any other MICE event hosted inside Cankarjev dom’s looking for top-notch art and cultural events as the ones included in the Magnificent 7 series makes it a truly magnificent congress venue.